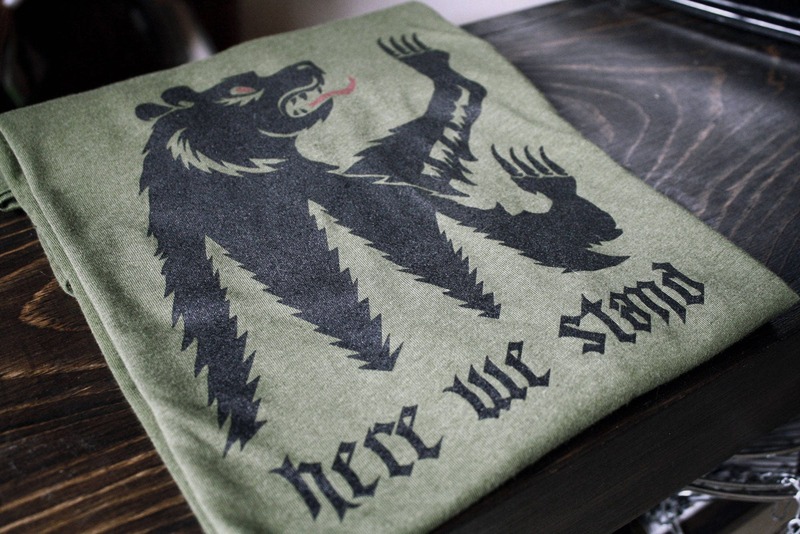 The words of House Mormont: Here We Stand. Red and black ink on olive color vintage-soft tri-blend tee. My husband absolutely loves this shirt! It is so incredibly soft and the design rocks. I will purchase from you again in the near future ! It’s an awesome shirt- my husband’s new favorite!! Great Shirt. Soft. Good Quality!